Love Formula 1? 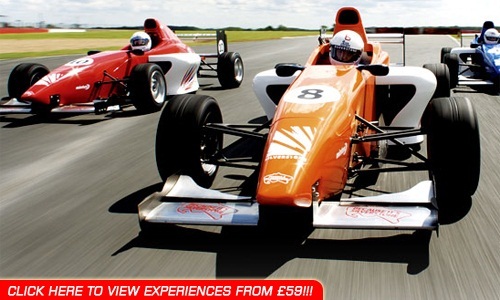 Want to drive a single seater race car around a real F1 track like Silverstone? Well you can thanks to these great experience days. From Formula Ford, to F3 they are available at locations across the UK. Feel the immense cornering speed and acceleration only a race car can give. You can even combine a race car experience with a supercar drive. And if nothing but the best will do, we even have real 700bhp V10 Formula One cars available to drive at locations across Europe.